Check out A. Jaffe's latest unique diamond ring, this outstanding A. Jaffe Diamond Ring! Showcasing a .75CT Center Diamonds and twinkling accent Diamonds at .68TDW, this shining beauty features a stunning center stone and a marvelous mounting perfectly encrusted with diamonds to add that extra sparkle! So unique and lively, you have to see this unconventional designer ring in person. This A. Jaffe diamond ring is available to you in your preference of 14K or 18K white or yellow gold, or in platinum. Just click on the reserve button to receive details on current pricing and availability. Find this lovely diamond semi mount at Tara Fine Jewelry Company, Atlanta's qualified Rolex, Breitling and Tag Heuer dealer and home to extraordinary jewelry by the world's most renowned designers. Enjoy shopping the beautiful showroom located in Buford, near the Mall of Georgia. 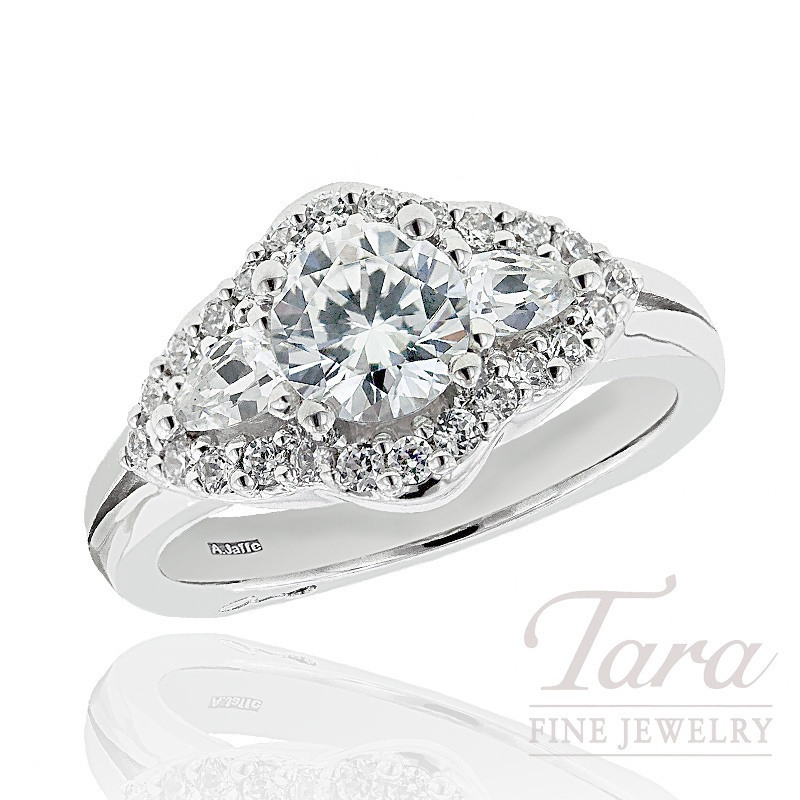 You will love Tara Fine Jewelry Company's commitment to unparalleled service and selection.